As an expert in interventional pain medicine and regenerative therapies, Lakshmana Madala, MD, FIPP, offers the most innovative and effective pain relief treatments available today at his practice, Pain Consultants of Michigan. Dr. Madala is dedicated to providing personal attention to every patient he sees in Saginaw, Michigan. He takes the time to talk with each patient about their concerns, learn about their condition, and determine the best treatment to relieve their pain so they can get back to enjoying life. 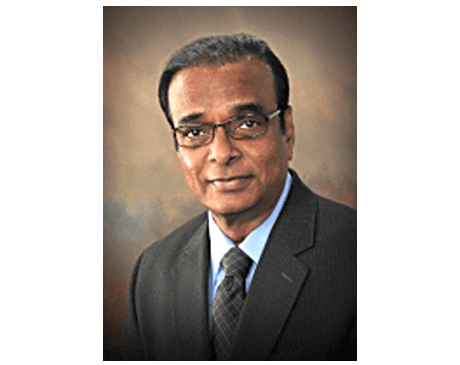 Dr. Madala completed his medical education at Guntur Medical College in India and went on to perform his residency training at Guntur Hospital as well as Michael Reese Hospital in Chicago. He’s a board-certified anesthesiologist with subspecialty certification in pain medicine. Dr. Madala is also certified by the American Board of Interventional Pain Physicians and a Fellow of Interventional Pain Practice (FIPP). In addition to his private practice, he also provides pain management services at Ascension St. Mary’s Hospital, Covenant HealthCare, Towne Centre Surgery Center, Scheurer Hospital, and St. Joseph Hospital.